Is your child struggling with feelings and learning how to cope through them? 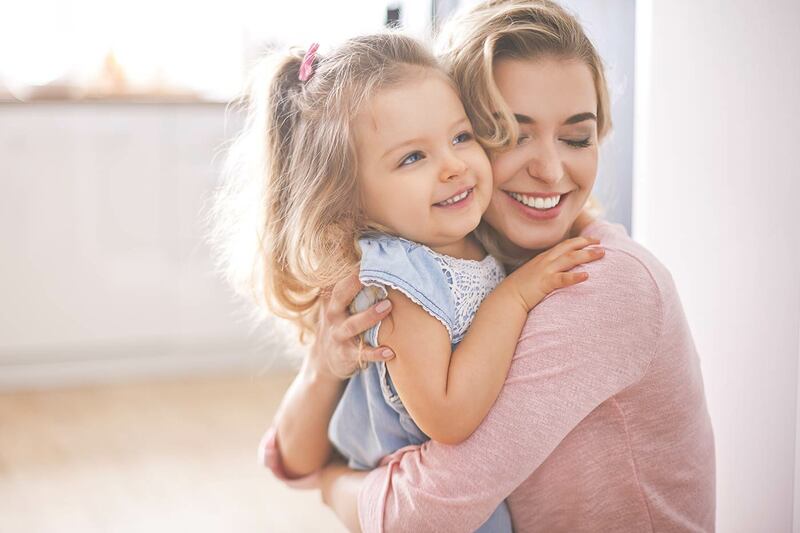 Learn how to manage emotions and kids with these 8 important techniques. You and I, we’ve had years of practice when it comes to emotions. We can pinpoint when we feel excited over a present or jealousy when we want something we can’t have. We know feelings come and go—all of them—and that everyone feels the same emotions at some point. Kids aren’t born knowing this and don’t have the years of experience we’ve had at discerning emotions. They might assume they’re “bad” when they feel angry, or feel stuck in despair not knowing that sadness does eventually go away. They also might not pick up social cues: they don’t know to leave alone the boy who looks sad, or the girl who doesn’t want to play right this moment. And so they throw tantrums when they get upset, or feel anxious because they don’t understand the physical and mental sensations they’re going through. Unfortunately, we don’t always treat emotions and kids as real. To us, losing a lovey seems like no big deal, but to our kids, it’s the same as losing a wedding ring. They feel the same sadness and guilt that you and I would if we lost something important. That’s why it’s important we talk about emotions and make them a part of our everyday language. This will help kids have a better grasp of why they feel the way they do. They can better manage their emotions when they know exactly what they are when they happen. And they can better relate to their peers and pick up on social cues. Sure, kids do eventually figure emotions out on their own, even without our guidance. But imagine how much better behaved and grounded they’ll feel when they truly understand emotions—which you can help them with. Think about the emotions we typically view as “negative”: unhappiness, anger, grumpiness, frustration, and so on. No one likes to feel these emotions, or be around others who do. So it’s no wonder that, when our kids experience these feelings, we tend to respond accordingly. We might get impatient that they’re crying yet again, or that they’re still mad even after all this time. Deep down, we wish they would just snap out of it. We might even send them to time out, only allowing them to come out when they’re finally happy. But we need to embrace all our children’s emotions, not just the easy ones. We can’t offer affection for pleasant feelings like excitement and happiness, only to withhold it when they feel more challenging emotions. Instead, be there for your child without trying to rush him out of his feelings. Give him all the time he needs to experience the emotion and ride the wave, reassuring him it’ll eventually pass. He’ll understand you’ll be there for him, even when he’s being difficult or isn’t the most pleasant to be around. Be there for your child without trying to rush him out of his feelings. My son was excited about seeing an old friend from summer camp last year. Unfortunately, he didn’t see his friend the whole first week he was there. He was convinced his friend must not have been at camp because school was probably still in session for him. Rather than try to prepare him for possible disappointment (“Just remember, he might have gone to another camp this year”), I talked to him about how he felt. We labeled his emotion as “optimistic”—he was feeling hopeful about the possibility of seeing his friend at camp again. I didn’t feel the need to protect his feelings. I wanted him to feel the whole range of emotions, from optimism and excitement to the possibility of disappointment. Kids need to be able to struggle through emotions without our help. We can’t swoop in every time we sense they’re about to feel a difficult one. Use these moments as opportunities to help them practice coping with challenging feelings. Get more tips on how to meet the emotional needs of your child. My twins were playing at the jungle gym when one of them accidentally stepped on another girl’s hand. He ran to me and clutched my leg, teary-eyed at what had just happened. The beauty of describing emotions as they’re happening is that kids get to put words to their experiences. You can definitely talk about it after the fact, but sometimes, kids need to know we understand how they feel right as they’re going through it. Think about an experience you had in which you seriously wondered whether you were the only one this has ever happened to. Struggling as a first-time, sleep-deprived newborn mom easily comes to mind. I didn’t think any of my friends or family could’ve felt what I was feeling. From sadness to frustration to wondering if my life would ever go back to normal, those first few months were brutal to get through. Only later when I realized that yes, other moms do go through this as well, did I feel better. The same is true for kids, and more so since they have fewer experiences and emotions under their belt. They worry they’re “bad” because they lied to get out of trouble, or they wonder if they’ll always have terrifying tantrums that seem to happen all the time. That’s why I try to relate to my kids when I can, and explain how I and other people have felt similar emotions as well. When my son was worried about a pimple on his face, I told him I get those too, and also feel worried when I spot things I’ve never seen before. And when another son felt discouraged from falling off a scooter, I shared how everyone falls but gets back up again. You and I know that feelings come and go. Just as we have good days, we’ll inevitably have those bad ones, too. Kids, however, don’t always understand this, and can feel stuck. Being so in-tuned to the present moment, imagining the future feeling better than the now can be hard for them. That’s why it’s important to teach them that feelings come and go. Remind them of another time when they got through a difficult emotion, and how they managed to bounce back up. While the future isn’t always predictable, you can talk about how he’ll eventually cycle out of this difficult feeling. It’s fine to tell your child that feelings will come and go, but it’s even more helpful to give him coping methods. 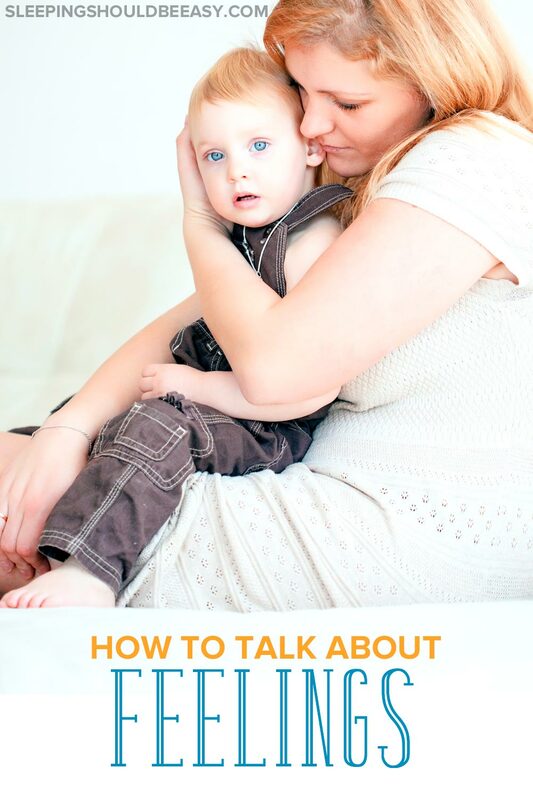 Thus far, we’ve talked about how to, well… talk about feelings with our kids. And while talking about it helps a ton, teaching your child coping methods provides him with practical ways to manage those feelings. At a family party, I anticipated that my son might feel overwhelmed. I was expecting we’d see more people than usual, including several we wouldn’t know. I needed to prepare him with practical ways to cope if he felt himself getting over-stimulated or flustered. So I told him that if he started to not feel good, he could tell me he needs to find a quiet space. We also brought a lovey he could hold onto for comfort. Giving him tools to cope with particular emotions helped him better deal with them (and avoid potential meltdowns). 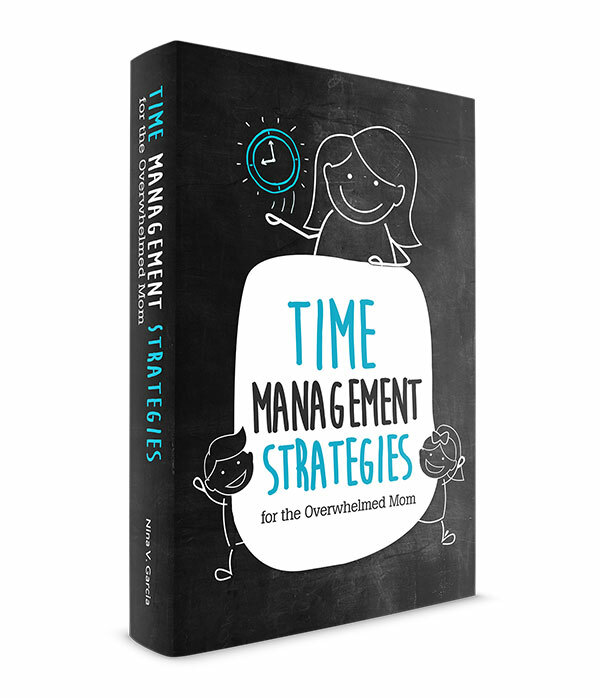 Get more tips on how to teach coping skills for kids. 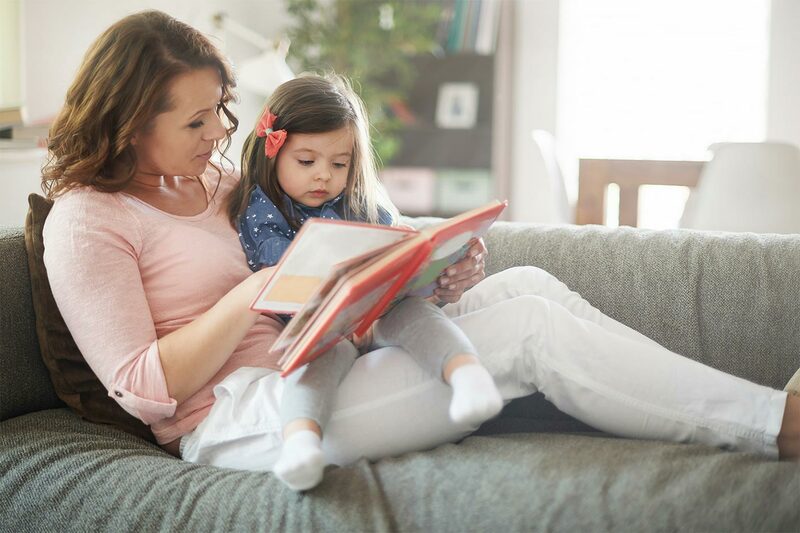 I’m a fan of reading books about whatever developmental changes my kids are going through, and the same is true with learning about emotions and kids. If my kids are going through particular emotions, I find books related to that topic. For instance, when my son went through separation anxiety and had a hard time being away from me, I borrowed books about exactly that topic. When I noticed another son having a difficult time expressing his feelings, we read books that showed different emotions. I especially like the books that featured photos of children’s facial expressions, as well as stories that shared how the characters eventually got through their feelings. Take a look at my ultimate list of children’s books about feelings. Reading books together is a fantastic way to discuss feelings. Kids are pretty tuned in to how others feel. Your child might see a little girl cry at a party because she doesn’t want to go home just yet. Afraid to draw even more attention to the child, you might feel compelled to hurry yours along and avoid the scene. But use this opportunity as a teachable moment. If you’re out of earshot, you might ask him what he thinks the little girl is feeling, or why she might feel upset. Even if you can’t discuss it right there, you can talk about it on the drive home or at a later time. Seizing “real life” moments to discuss emotions gives your child a chance to understand his own feelings and how others feel them, too. Describe your own feelings as well. If you lose your temper, apologize for getting angry, and how you’ll manage anger moving forward. Talk about how you felt upset when you were stuck in traffic, or excited about your friend’s upcoming wedding. 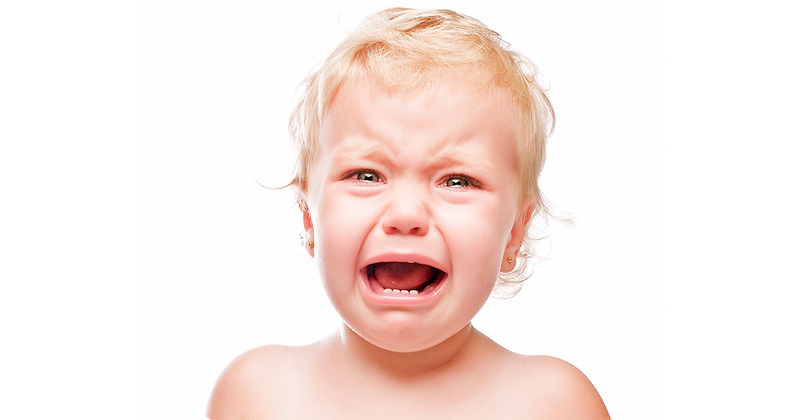 Get tips on how to stop losing your temper with your toddler. If only kids were born knowing what feelings are, life would be so much easier. As it is, kids learn about feelings as they grow and experience life, making it more important that we talk about them openly. Talk about all feelings, and not just easy or pleasant ones. Avoid protecting your child from difficult emotions and instead allow him to experience—and learn from—them. Describe emotions as they occur, giving him a clearer understanding that these feelings have names. Reassure your child that everyone feels similar emotions, and that he’s normal for experiencing them. Explain that emotions come and go, while giving him coping methods to get through them. Read plenty of books to further cement the feelings he might have while also providing an opportunity to talk more openly about them. And finally, point out other people’s feelings: not only are you able to discuss feelings, but you’re also helping your child develop empathy. Perhaps the most important lesson to teach your child is that feelings aren’t good or bad. They simple exist—from my son’s optimistic hope of seeing a friend at summer camp, to the joy (and relief) when he does. Tell me in the comments: How do you handle emotions and kids? Struggling with your child's tantrums and meltdowns? No more exhausting meltdowns and outbursts, friend! 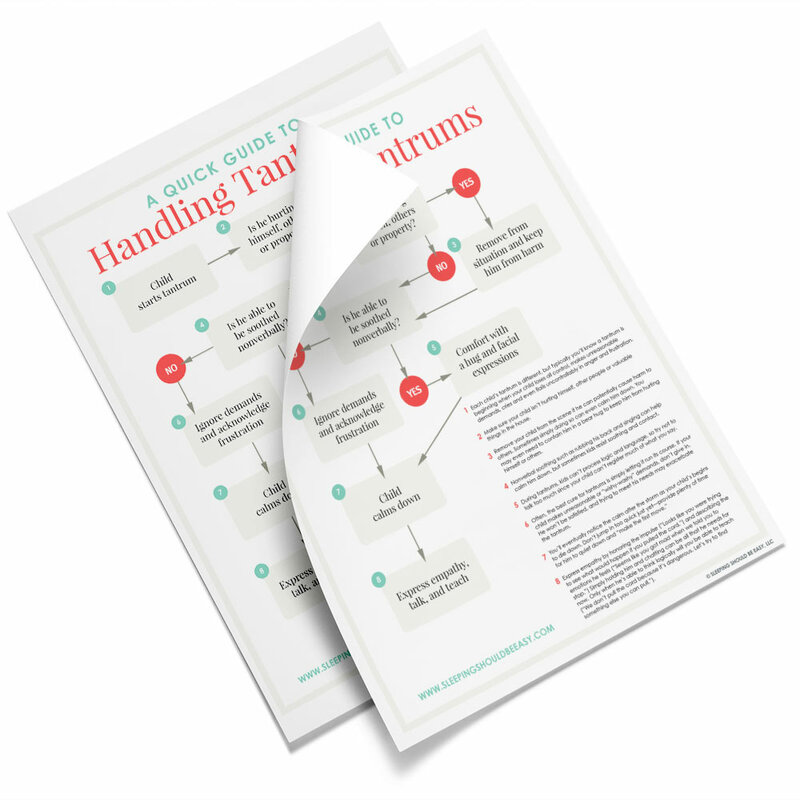 Download my guide to handling tantrums—at no cost to you—where you'll discover effective yet gentle ways to respond to tantrums.